I visited Terrygold’s newest exhibition and installation “Oxygen” following Inara Peys’s blog post about it “Terrygold’s Oxygen in Second Life“. The exhibition and the installation is shown at Solo Arte, the art place of Melania (melaniabis) and Terrygold. At the landing you can grab a notecard with the background story that accompanies Terrygold’s exhibition in the rooms adjacent to the landing. There’re recommended settings for your viewer for your visit and I used them, althogh my picture became a bit dark with it, but that’s intended. The story itself is quite sad and touching. It deals as the name implies with oxygene. In a not so far future a woman grows up wearing an oxygene mask permanently because of the polluted air. The mask is an ongoing torture, the sounds of her own breathing making it hard to blind out her misery. Just once a week she gets relief for an hour she may spend in a greenhouse. As you wander through the exhibtion you read the story, you see the pictures that express the never ending longing for relief, the yearning for a natural and healthy environment. And you hear the sounds of the breathing. In the end, when you passed the last room and picture you hear the last heartbeat and silence, finally silence. 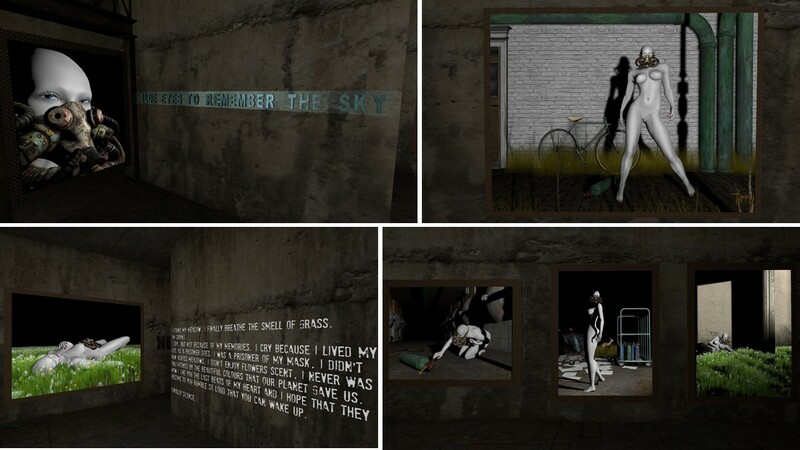 Leaving the exhibition you walk up stairs, reach a large corridor with oxygene tanks and come to an old underground station and finally when you walk up from the underground station with the station name “Rebirth” you reach the surface, a town named “Oxygen“. It’s dark and abandoned, a ghost town. Nature has conquered it back, ivy, trees and gras slowly overgrowing walls. The roads with the rusty car wracks still witness the life that has been here before. And if you walk inside the houses, there’s still furniture, pictures on the walls, signs of the life that was here before. Oxygen by Terrygold is an impressive piece of art with a strong message like “Rusted Farm” was, the installation of Terrygold that I visited last year (read here) and that dealt with industrial farming and pollution. I recommend a visit to Oxygen and I hope that Terrygold’s message is heard. Thank you for your art and for this installtion, Terrygold! For my short simploring tour on Sunday, July 8th, I dediced to follow Inara Pey’s simploring tours and visited Rusted Farm. 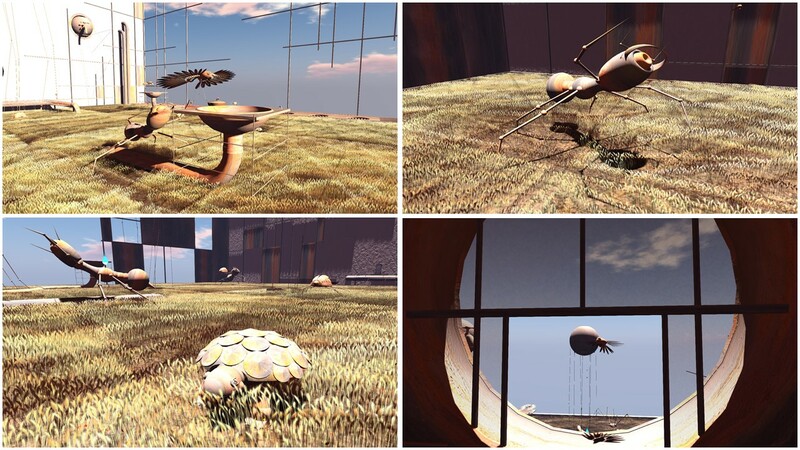 Inara’s blog post “A Rusted Farm in Second Life” is quite elaborated and detailled and a good preparation for a visit. 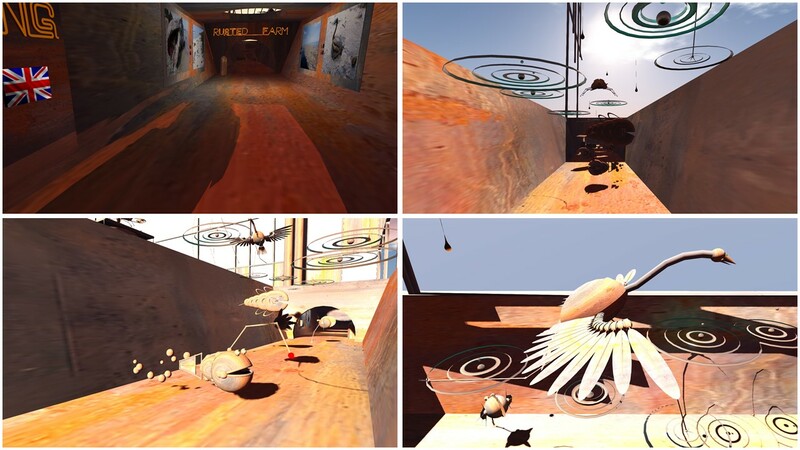 Rusted Farm is an installation by Terrygold and is located at Solo Arte, an initiative for the encouragement, diffusion and promotion of art in Second Life, that was founded by Μelania (melaniabis), but as far as I could find out, Terrygold herself is co-owning it. I will refrain from writing a descriptive blog post about Rusted Farm, instead I want to refer to Inara Pey’s post about it. I enjoyed my visit very much. Besides the messages that Rusted Farm wants to spread and besides the thoughts and awarenesses that Terrygold wants to initiate I was facinated by the rusted recycle insects and robots. They are very detailled and look different from every viewing angle. 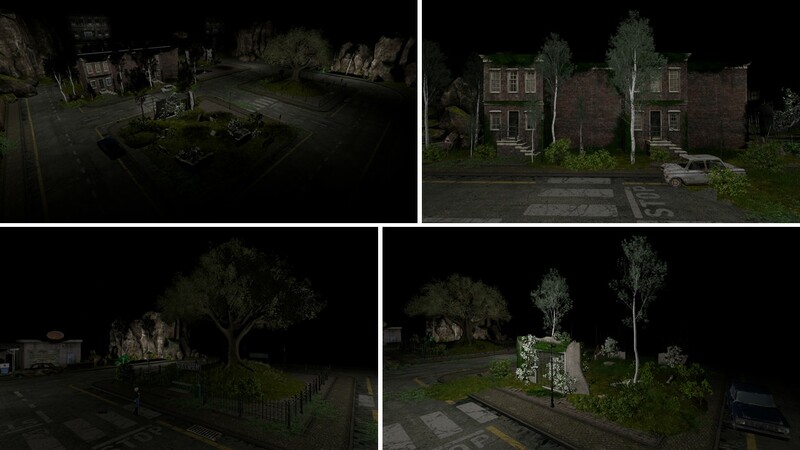 In particular I recommend to play a bit with the windlight time setting and to look at them at night. They glow or have LED’s and add a particular, strange atmosphere to the scenery. But that’s something pictures can’t really capture, so you have to do that on your own. Thank you Terrygold for this installation, I enjoyed my visit a lot!